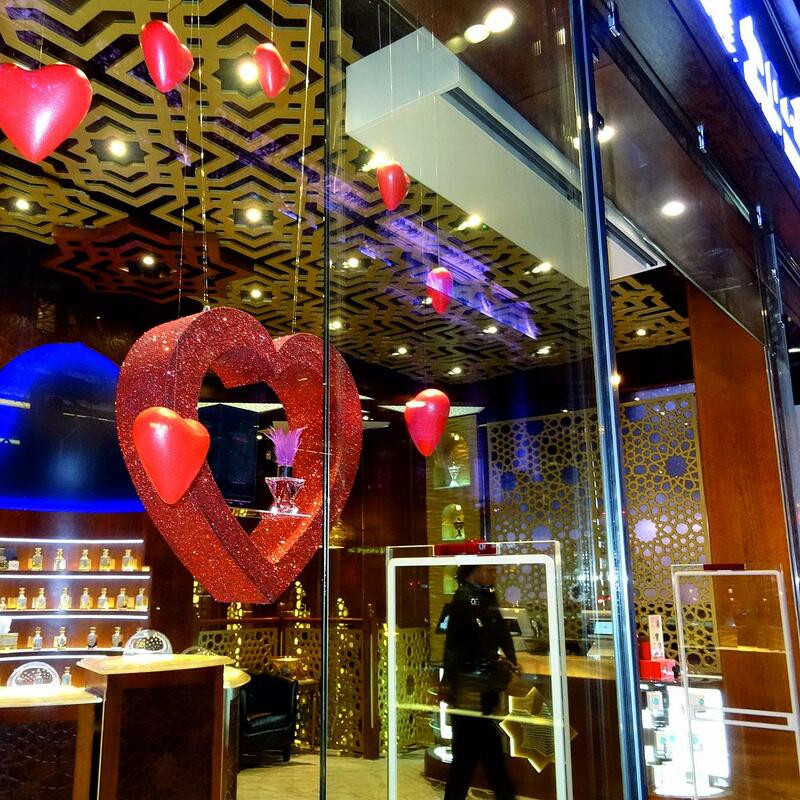 The hanging valentine Heart display shelves are available as hanging decorations at 380mm, 580mm and 877mm in size. Larger hearts can be produced on request. 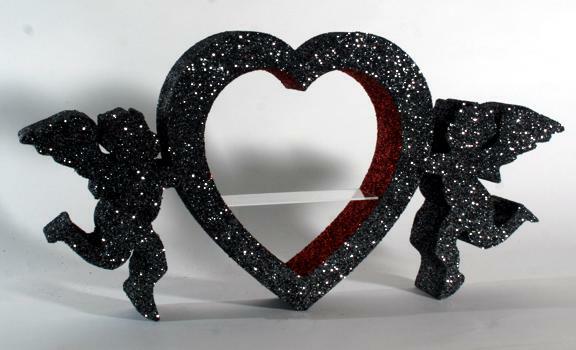 The hearts can either be glittered in one colour, or have a different inner and outer colour of glitter. Click for enlargement and more info. These heart sh elves are ideal for Valentines and mothers-day window and instore VM displays, and will also work with Christmas Display. They are light weight, but secure enough to safely hold most small gifts. Their dual function displays your merchandise, while being decorative items in their own right. 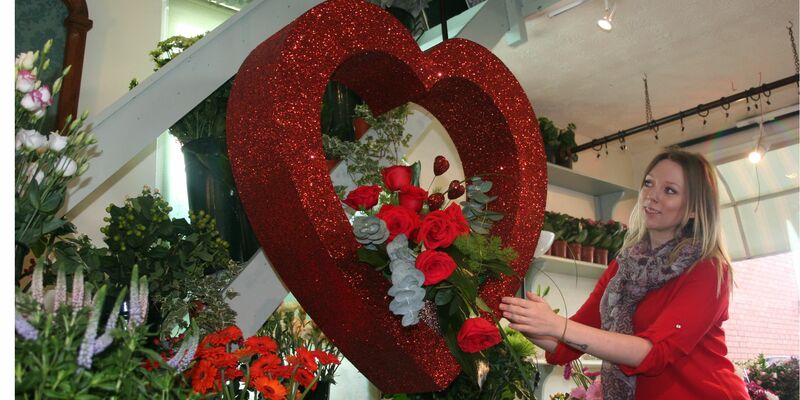 For heavier merchandise, we can reinforce the hearts so that they will hold up a much larger weight. These display units are great for Card and gif t shops, florists, jewellery stores and many others. 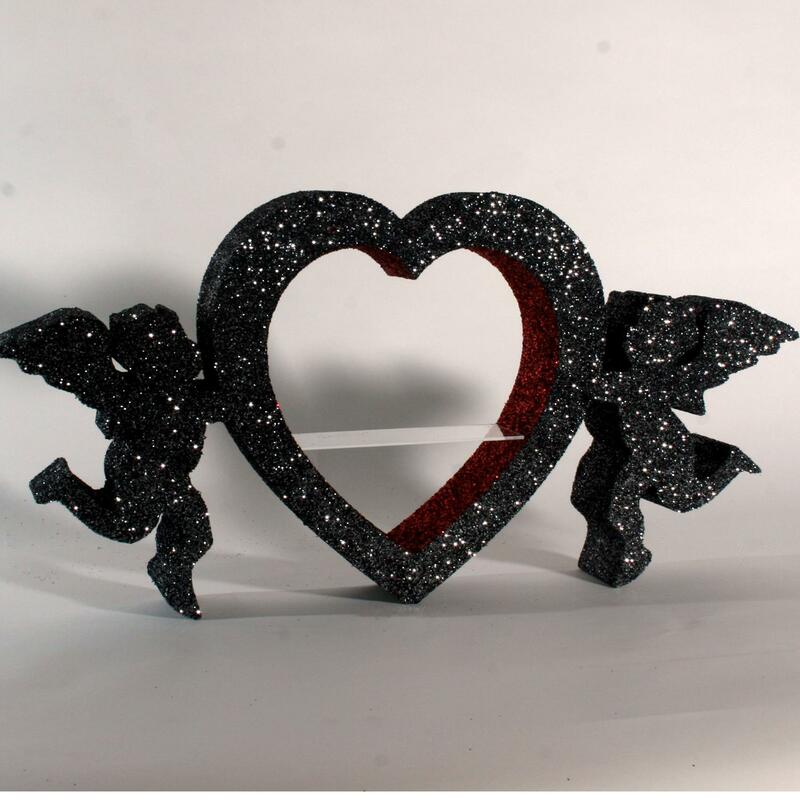 These Free standing Heart / Cupid units are available at 380 mm. 580mm and 877mm high. They will free stand in a window display, or look great on a shelf or ontop of a display unit.